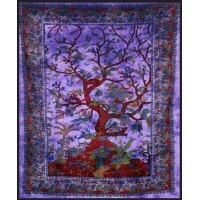 Beautiful tree of life design cotton tapestry in a smaller 52 inch size - use as a bedspread, wall hanging and more. 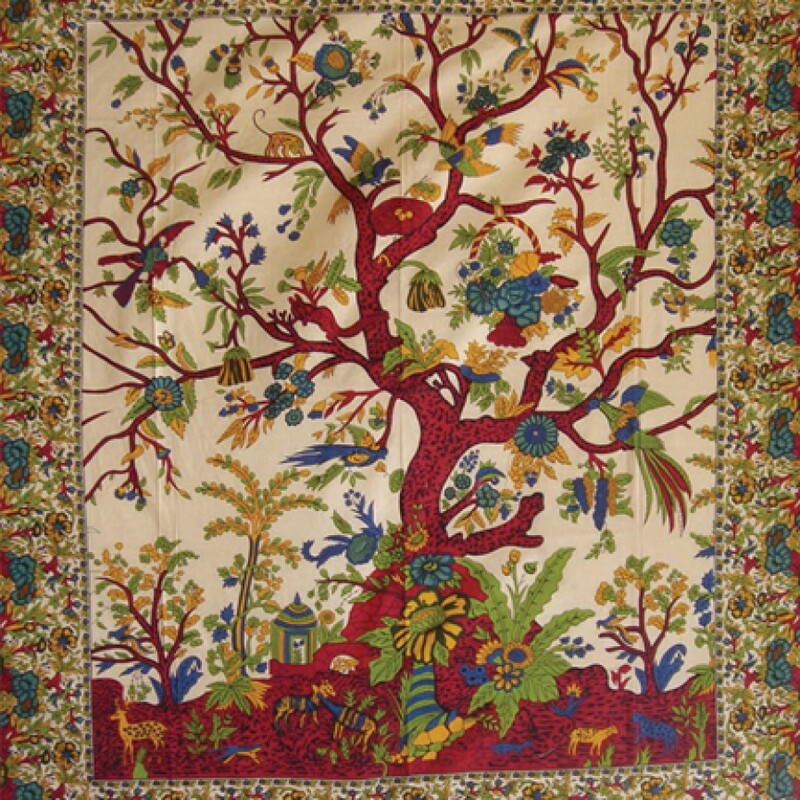 Perfect for your dorm room, this single size 56 x 82 inch 100% cotton tapestry is hand made in India using vegetable dyes (some variation in color/design is possible). 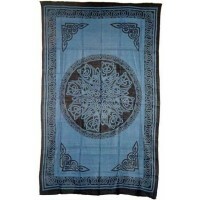 Perfect for a single or full size bed or for those needing a smaller tapestry. 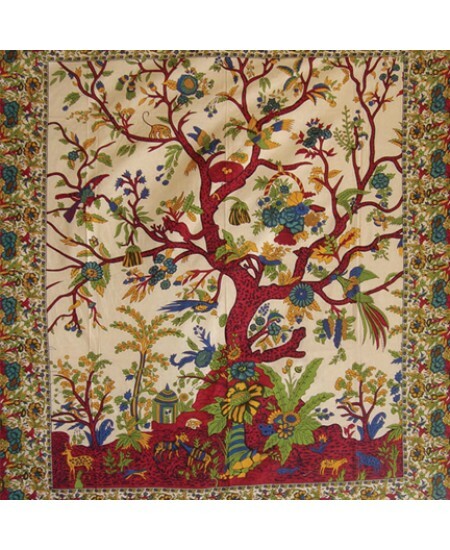 A heavy, beautifully woven tapestry is nicely finished with stitched hems and sewn in loops on the top corners to easily hang on the wall. If you want to use it without the loops, they can be cut off or ironed/stitched flat to the back to use as a tablecloth or bedspread. 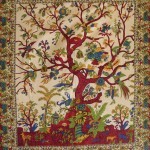 Could also be used as an area rug though we recommended attaching a non-slip rug backing to if it you want to use it this way. 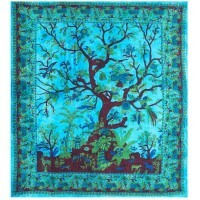 Great as a wall hanging, bedspread, table cover or even curtain. 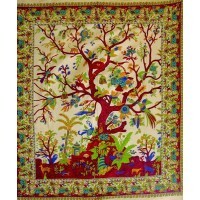 Hand made in India. Item Number: BN-6526AJ | Approximate Size (Inches): 56.00 wide x 0.01 deep x 82.00 high | Approximate Shipping Weight: 1.00 lbs.